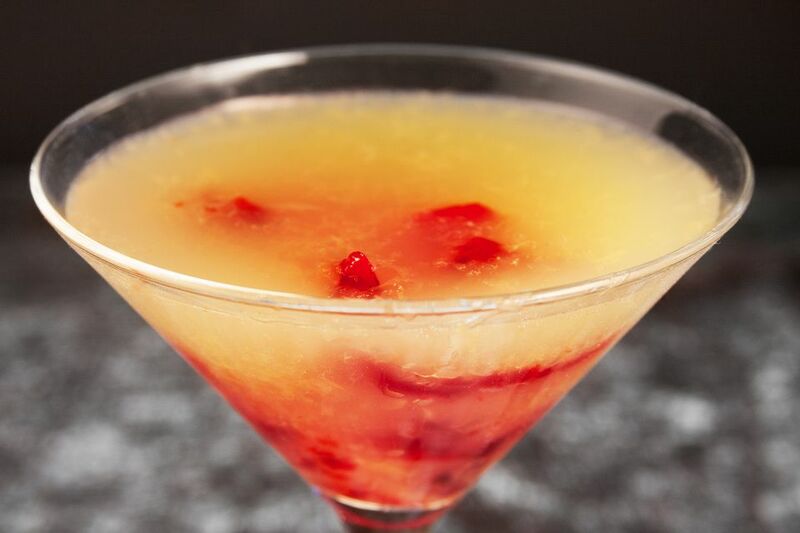 Get a little creepy with this unique cocktail. The Swamp Water Surprise is, admittedly, more gimmick than anything else, making it ideal for Halloween. If you want to add to the murkiness, use orange juice with a lot of pulp. The optional "surprise" is a plasma-like substance made of spiked gelatin that floats in the murky-colored liquid and it can be any color or flavor you like—there really are no rules with this one. Note: while there are multiple steps to this recipe, this cocktail is broken down into workable categories to help you better plan for preparation and cooking. Add the vodka and set it in the freezer. Just before the gelatin hardens up, whip it with a whisk. Pour the rum, blue curaçao, and juices into a cocktail shaker with ice. If using, carefully spoon the plasma into the glass. You can change the color of this cocktail by your choice in curaçao. Pouring the clear-colored "orange" curaçao will result in an orange-colored cocktail. If you go with blue curaçao, it will end up a murky aqua color. Choose the color of gelatin to complete the look of your cocktail. No matter the color, any fruity flavor will work out just fine, so have fun designing this drink to fit your party's style.